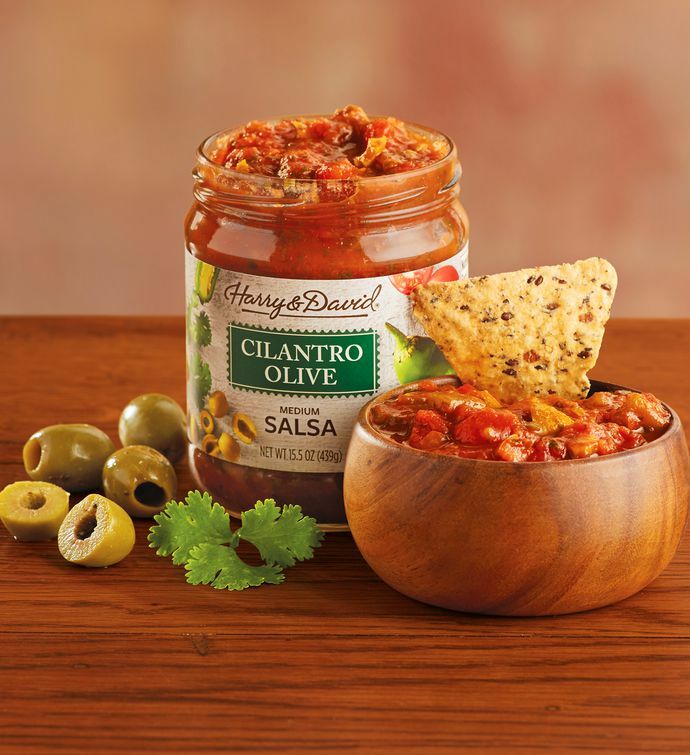 Green olives and cilantro make a brilliant flavor combination in our Cilantro Olive Salsa. Ripe tomatoes, green chilies, and jalapeños balance out this olive salsa dip perfectly. Featuring a delightful brightness, here's a medium-spiced salsa with cilantro that you'll find many uses for. Whether for a special meal, for appetizers for entertaining, or just to have on hand for snacks during the big game, buy salsa beforehand and serve up a deliciously tasty salsa anytime.